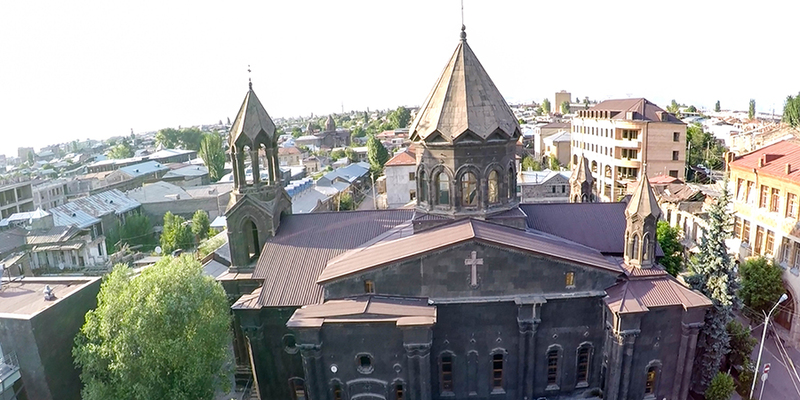 The church belongs to the Cruciform style of the Armenian churches with an external rectangular shape. The belfry is located at the top of the main entrance on the western side of the building. 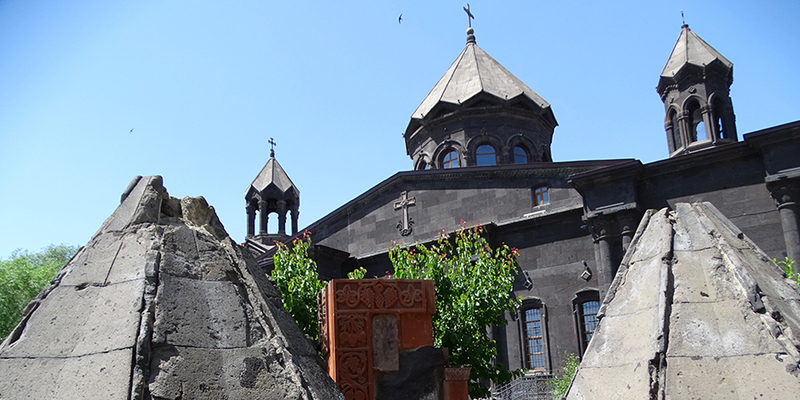 During the soviet period there were only 2 churches open in Armeni: one was Ejmiatsin Cathedral and the other one the Seven Wounds church. 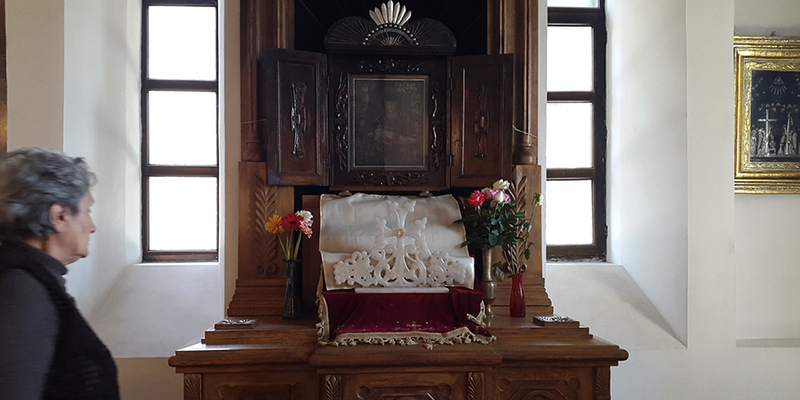 The one altar served for catholic believer, and the other one for russian belivers. That’s how the church united all believers in the city. 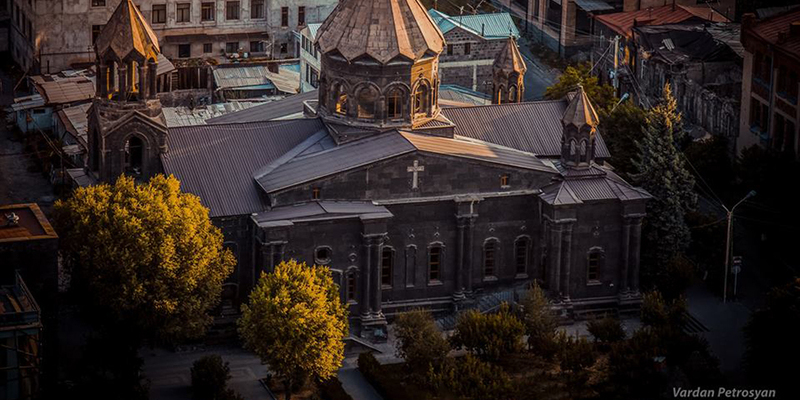 After devastating Earthquake in 1988 the 2 minor domes fell down and they were replaced with new ones. You can see the fallen domes currently placed in the church yard.